Hello there! We are nearly through the week- thank God! Going into the office on a Monday always throws me off. 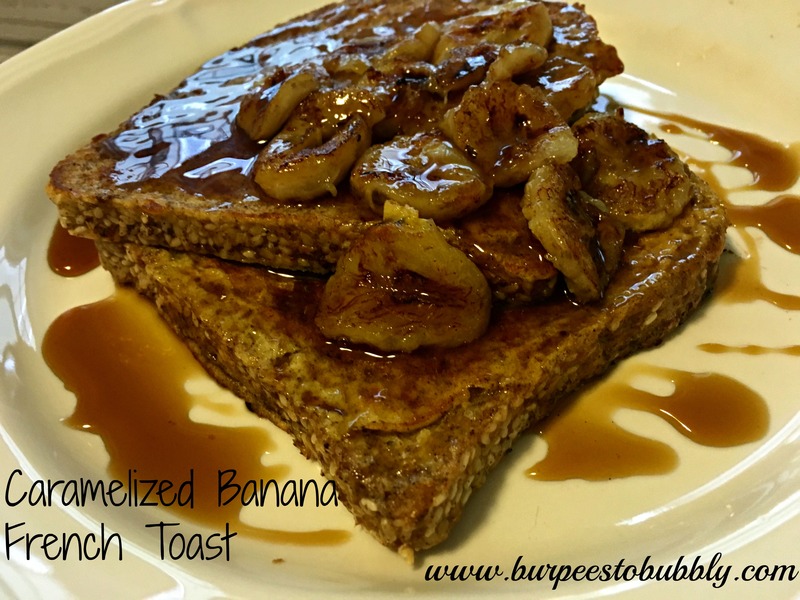 While you could make this with whatever bread you have on hand or prefer, we opted to use Ezekiel bread for its health and digestion benefits. The first time I made this I used regular milk, but I used hemp milk next time because that’s what we had on hand so I think you could probably use whatever you prefer. There are optional add-ins, too! Whisk the eggs and then add in your milk and whisk some more. 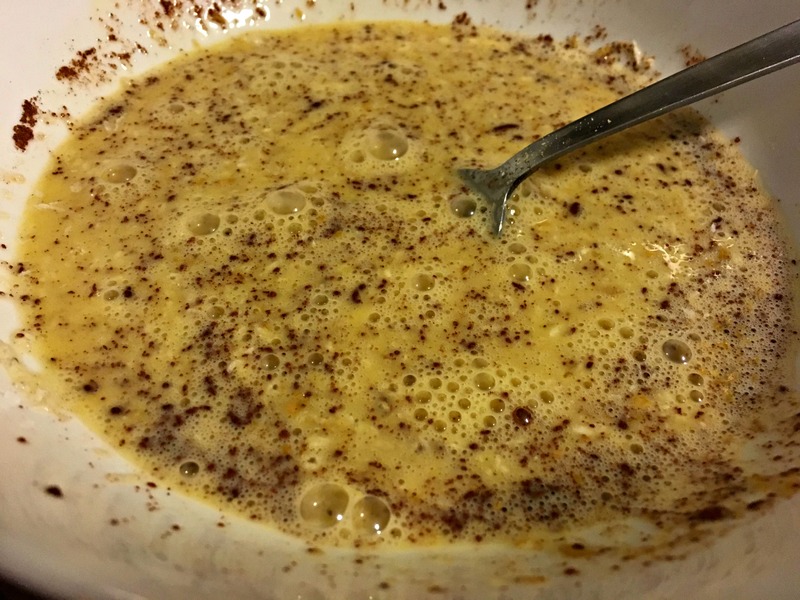 Finally add in the cinnamon and ground flaxseed and coconut flakes (if you’re using those). 2. 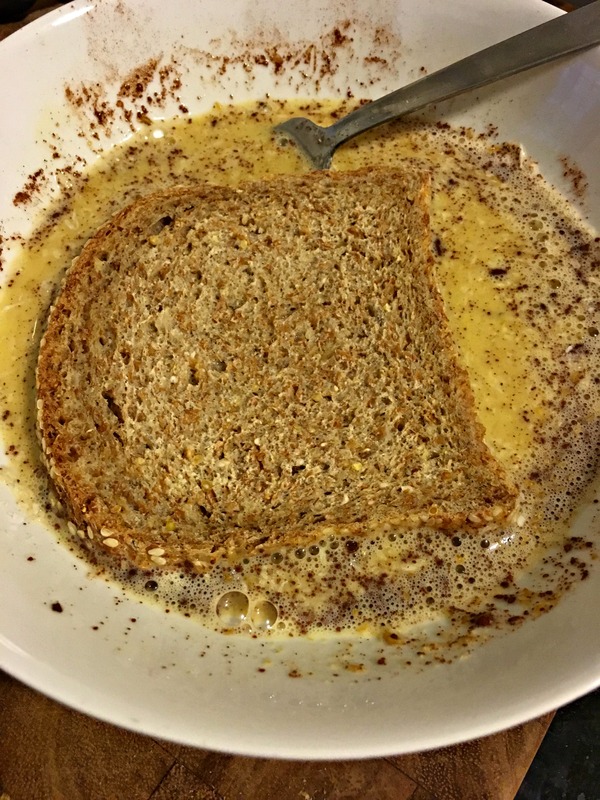 Place the bread in the egg mixture and let the bread soak it up really well before flipping it over and then eventually placing it in the pan. Continue this with all of the pieces of bread. 3. 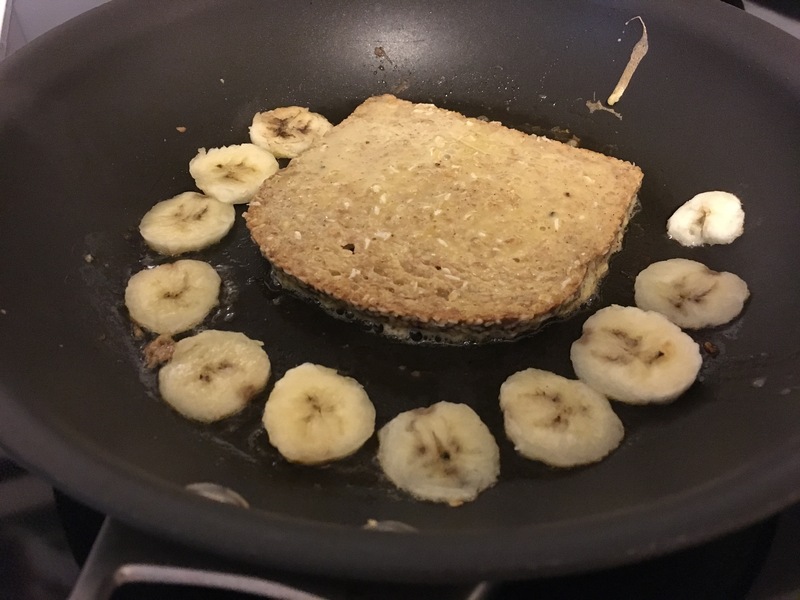 Slice your banana and add it to a greased section of the pan cooking your bread. 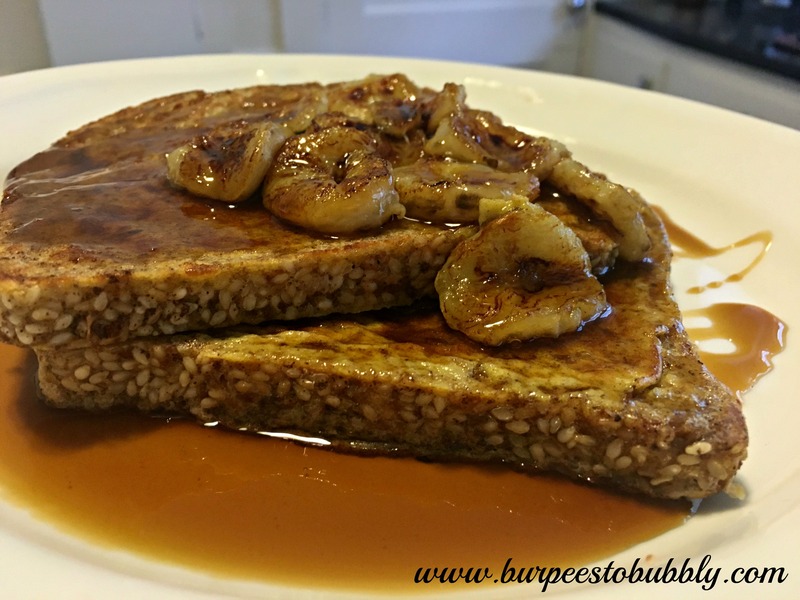 Let it brown up/caramelize on both sides before removing and placing atop the cooked French toast. 4 Top with maple syrup and serve! 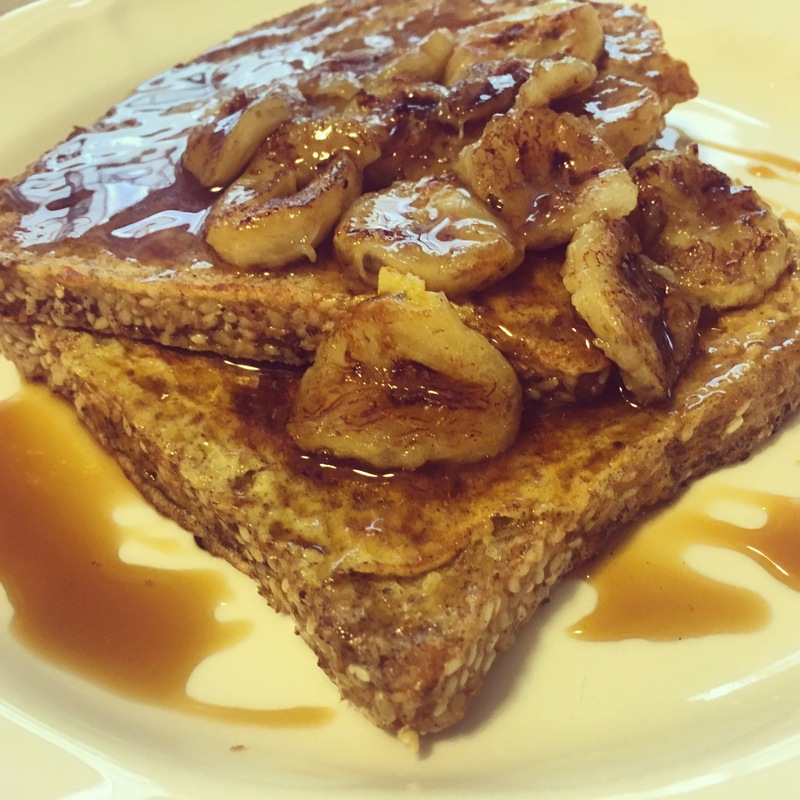 I’m not a huge French toast person (much prefer pancakes), but I have to say that these were good enough to potentially make me into a French toast lover! 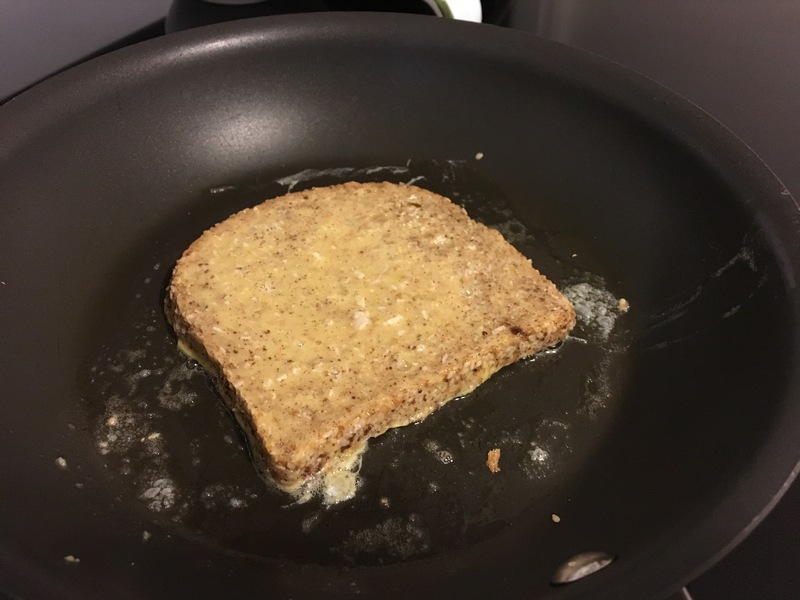 The Ezekiel bread is pretty dense to start with so it ended up having a nice, hearty texture after it was cooked. The caramelized bananas added an incredible flavor to the whole dish- it’s so interesting how the flavor of a banana can change so much from eating it right out of the peel and then after it’s been cooked. 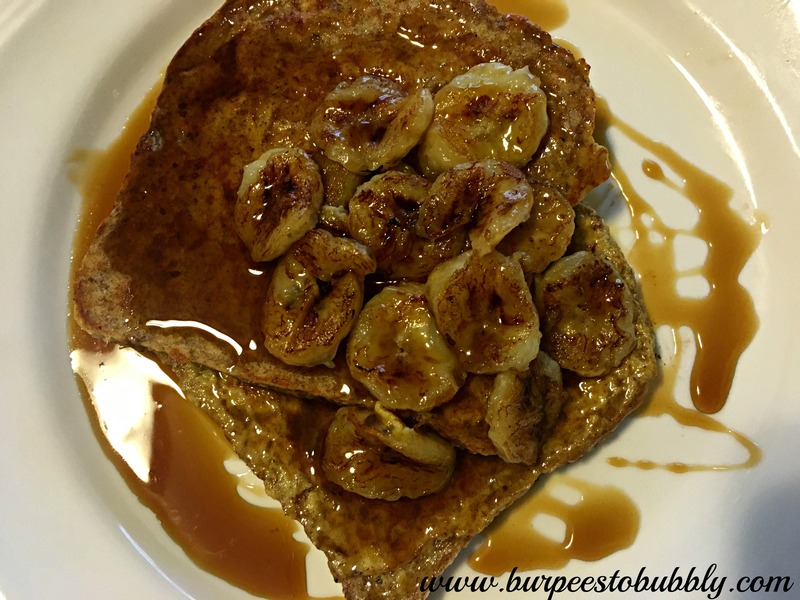 I definitely suggest whipping these up the next time you’re looking for a weekend breakfast changeup! Questions for you: What’s your favorite weekend breakfast? Do you prefer sweet or savory?